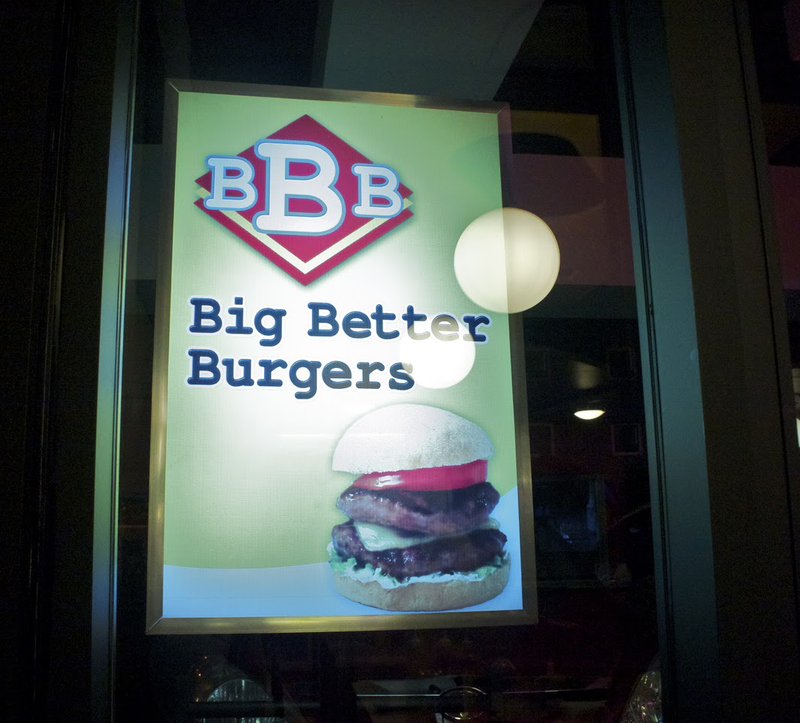 We were running out of options for what to eat for lunch that John decided we try Big Better Burgers which is just in front of our office. Of course, I said yes. I needed to take a break from all the chicken from KFC and nuggets from McDonald's. Hahaha. I forgot to take a picture of the front of the burger joint. The place was just small and it definitely has the diner feel to it. Main color palette's basically red and yellow and John said that the place would've looked better if they used white light instead of yellow. But I don't mind, hehe. Of course, everything was self-service here. I originally wanted to try the Three Cheese Explosion burger because of my undying love for all things cheesy but I decided a 1/3 lb patty was too much for me that moment. So I opted for the BBQ Quarter pounder with cheese and a glass of Mountain Dew (I love that they serve Pepsi products here). The fries were delicious, reminds me of Wendy's french fries but it was even better. Food was served hot and off the grill which was fantastic. This also comes with a dill onion mayo dip. Yum! And I tried to get a decent photo of the burger using my phone but, oh well. The burger was really, really good. It was juicy, yummy and was really big! You can taste that the burger was charbroiled or grilled, there were even grill marks on the buns! 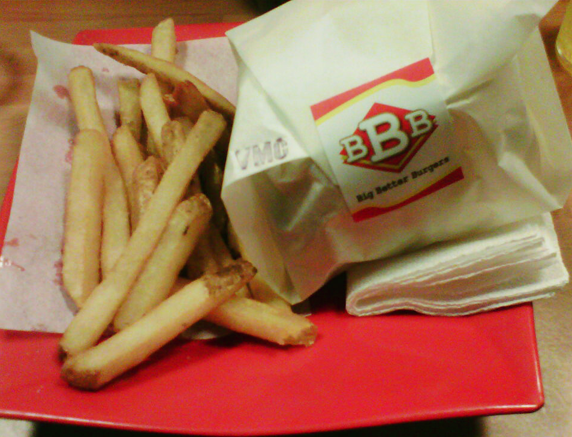 For PhP140 value meal of burger and fries, it was really a good deal! 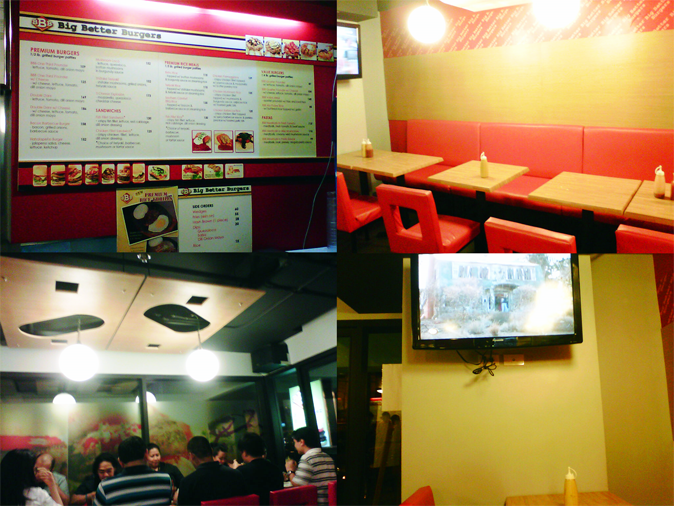 A good alternative to Army Navy or Wendy's burgers (I've never tried Brothers Burger). What was funny also was since the TV was on HBO and the film showing was A Nightmare on Elm Street 4: The Dream Master, we were laughing how we were eating while occasionally watching Freddie Kruger kill people.